The Historic Derby Street Neighborhood (HDSN) consists of streets lining Derby Street, stretching from Hawthorne Boulevard to Block House Square. The neighborhood has strong ties to the maritime trade and many of its homes were built for the merchants and tradesmen that worked along the over fifty wharves that once lined the waterfront. When Salem’s wealthy merchant families began relocating to stately mansions along Chestnut Street and Washington Square, HDSN became a middle and working-class immigrant community. As the maritime trade waned, industry prevailed; multiple factories were built throughout Salem and surrounding towns, attracting an influx of immigrants. Between 1890 and 1910, Salem’s population increased by 42%, many single-family homes throughout the city were remodeled or replaced with tenements to accommodate this population surge. The largest immigrant population to settle in the Historic Derby Street Neighborhood was Polish, accounting for 8% of Salem’s overall population in 1911. The House of the Seven Gables, the namesake of Nathaniel Hawthorne’s 1851 novel, played a crucial role in this community. Caroline Emmerton opened the museum in 1910 to support her adjacent settlement house, which provided classes and workshops to the local immigrant community, a role the museum still honors to this day. The Gables became a neighborhood social center and fostered interactions between Salem’s upper-class and newly arrived immigrants, unseen in other communities. In the first half of the 20th century, Salemites advocated the need for a “national shrine” commemorating Salem’s “long extinct shipping glory.” This became a possibility with the passage of the National Historic Sites Act by President Franklin Roosevelt in 1935. In preparation for the park, the City of Salem demolished several tenements, homes, and outbuildings, relocating at least three structures to other parts of the city. When the work was complete, five buildings remained: the Hawkes House, the Custom House, Forrester’s Warehouse (non-extant), the West India Goods Store, and the Derby House. On March 17, 1938, Salem Maritime became America’s first National Historic Site. Since then the Site has continually told the stories of Salem residents and their global significance. In telling these stories, Salem Maritime has added multiple buildings within the Site’s boundaries, including the Narbonne House and St. Joseph Hall, a Polish community center. 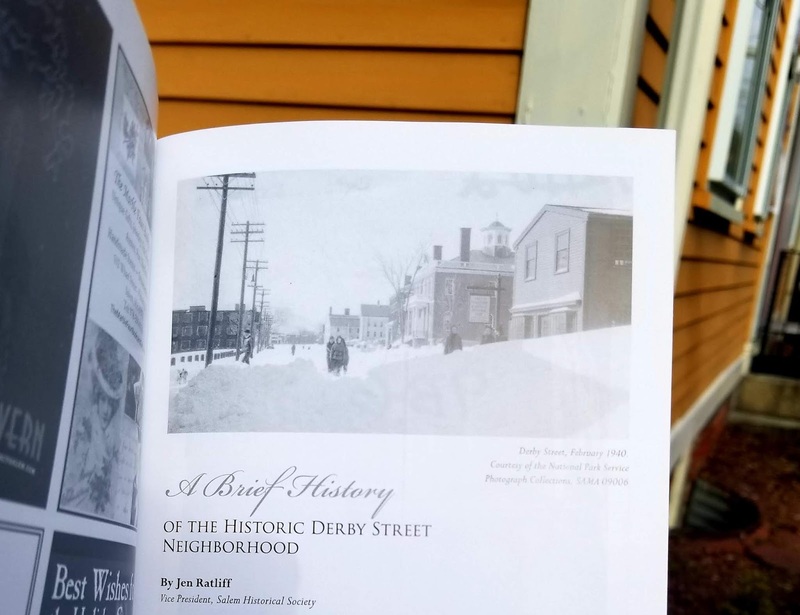 In 1976, The Historic Derby Street Neighborhood was designated a National Historic District due in large part to the hard work of neighborhood residents, led by sisters Alice and Dolores Jordan.